“Porcelina” is a very special pin for several reasons! Firstly, she’s a different metal format than usual – I wanted her tail to have a more porcelain feel (to match the theme) so we went with a smooth metal gloss finish instead of the usual raised enamel style metal. 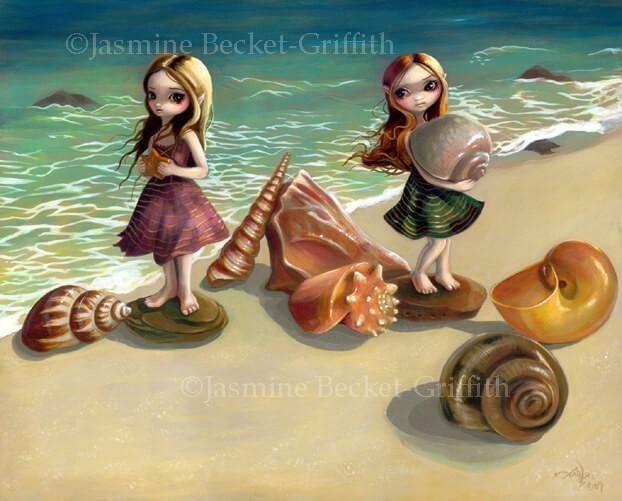 Secondly – I created specifically for the opening party for my “Magical Thinking” solo show at the Corey Helford Gallery in July 2018 in downtown Los Angeles. 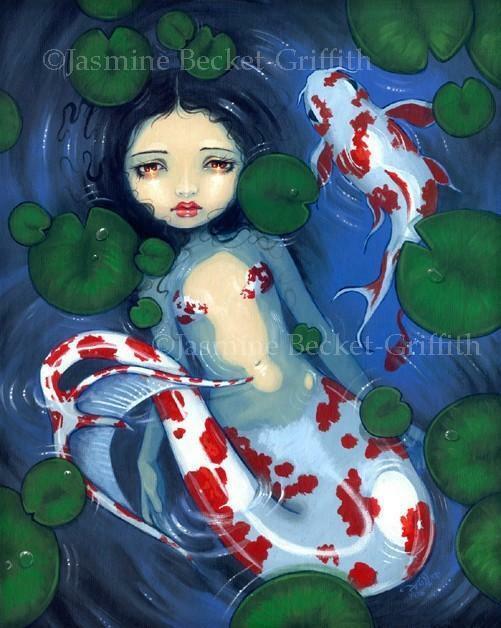 Based on my painting of the same name – a beautiful mermaid with a blue willow patterned porcelain tail. She was the free Event Exclusive pin we created as a giveaway for the show to the first 200 attendees. She is not available for sale, only as a freebie to those customers attending the event. 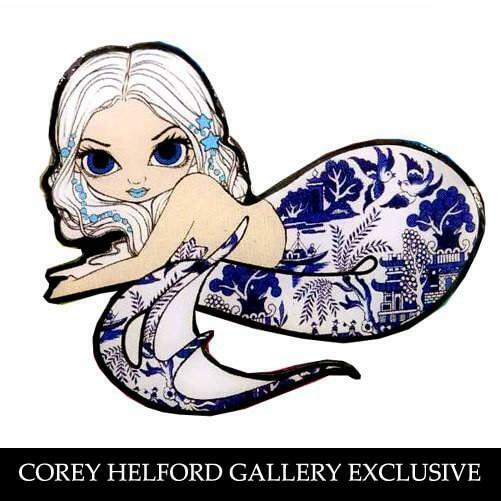 That being said – the Corey Helford Gallery also had 35 additional Porcelina pins set aside as a gift to any collector who bought an original painting, too! 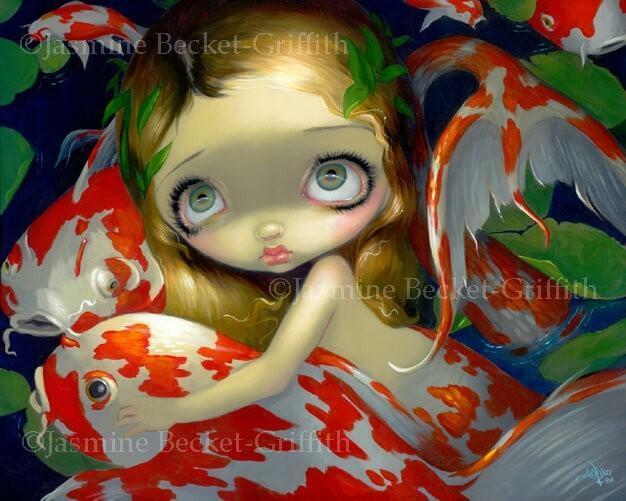 So – as of July 28 when I left the gallery that night, there were maybe 3 or 4 of the 35 original paintings left, so you may still have a chance to snag a painting (and free Porcelina pin) – email [email protected] to inquire!